Puppies taken in by the Finney County Humane Society this week. Wind scrapes across the plains of southwest Kansas like few places in the country. It drives a booming new industry of turbines that feeds electricity across the region. But at times, the wind gets out of hand. This week, it plowed across the landscape, causing trucks to swerve on highways, kicking up dust clouds and freeing family pets by knocking down fences. With gusts hitting 55 mph, the National Weather Service issued several warnings for the region this week. Ray Burgert, a meteorologist for the agency, told people traveling in SUVs and campers to take special care. Such winds can take out semi-trailer trucks. The winds also triggered an elevated wildfire risk across the high plains. High winds also strained southwest Kansas animal shelters. Dogs often escape during strong storms that topple fences. The Finney County Human Society took in 3,100 animals in 2018. Finney County Humane Society Director Nikkie Spanier said the group’s shelter expects an influx of pets during storms, so it has volunteers on call. Foster homes take in pets temporarily that are up for adoption to make room for animals picked up by community members and police officers during storms. Kansas state law requires shelters to hold a lost animal for three business days before it can be released to the owner. Laura Stein, an animal control officer with Dodge City, said windstorms create tempting roaming conditions for huskies, collies and Labrador retrievers. Stein says other dogs like to avoid the wind and usually stay in dog houses. With a population of nearly 6,000 people, Ulysses animal control picks up almost 500 pets per year. In Finney County, the number of pets coming to the shelter grows every year. In 2018, the shelter took in 3,100 animals and more than half were unclaimed strays. Many dogs that are found and unclaimed are available for adoption at the Finney County Humane Society. Gregorey says pet owners should check their fences and gates when weather warnings are posted. But some inevitably break free and roaming animals get captured and taken to the county’s shelter. The High Plains experienced staggeringly strong winds on Wednesday, with some areas seeing hurricane-force winds. In Amarillo, the National Weather Service reported gusts of up to 80 miles per hour. 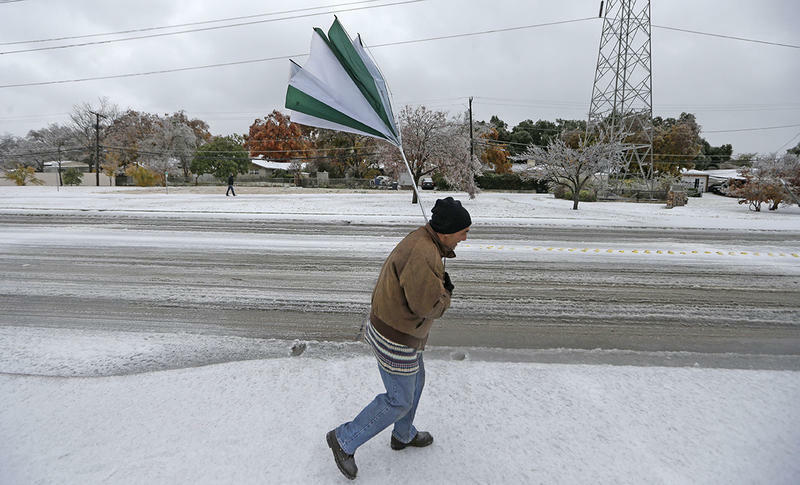 A multi-faceted storm system is expected to race across North Texas starting Thursday afternoon, bringing cold rain, snow and wind — really strong wind.